SEO is such an essential aspect of the web to know about, especially with internet shopping and services becoming increasingly popular. We live in an age where the digital world often surpasses the physical one, and having a basic understanding is no longer good enough if you want to come out on top. There’s no need to despair though, as the excellent tool Surfer SEO can help you to reach every corner of your website, optimising it and ensuring that it can be seen across the globe. It’s really simple to use as well, something that this handy review will make clear for you. 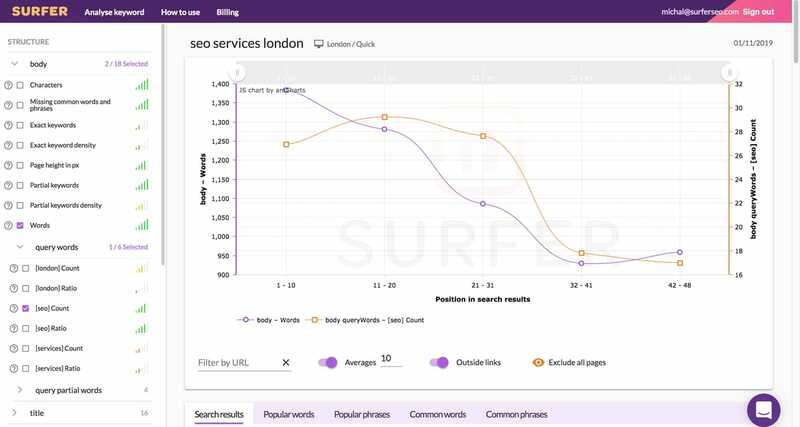 Surfer is a cloud-based real-time data provider, that compares key on‑page factors of top 40+ ranked websites. 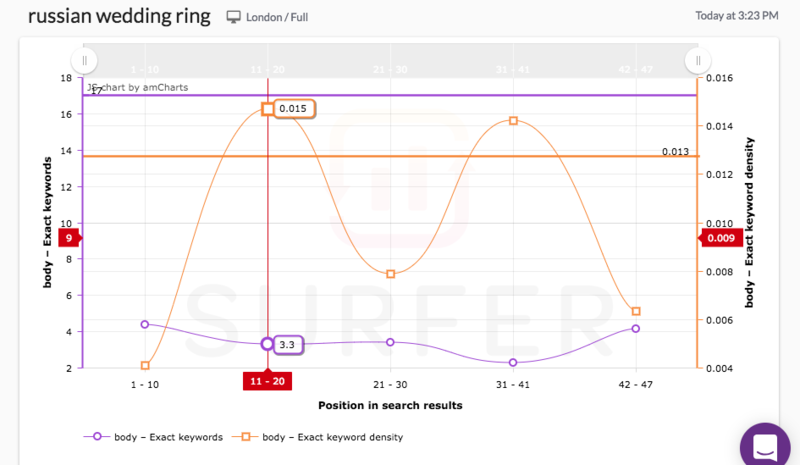 Surfer SEO is a cloud-based tool that gives you the opportunity to analyse SERPS on a deep level, and one that is not often offered by other SEO companies. This allows you to really fine-tune your pages so that you can have the best possible ranking, ensuring that you are using the correct and best keywords, and it will compare the key on-page factors of over 40 of the top ranked websites within your sector. It’s full of great features to make your life easier, something that I go through in the next section. Despite being in the early access stage, Surfer SEO is already building an excellent list of clients as it makes its way into the international market; and there is the option to go through with a free trial before you purchase the full plan (more details on pricing can be found later on in this review). 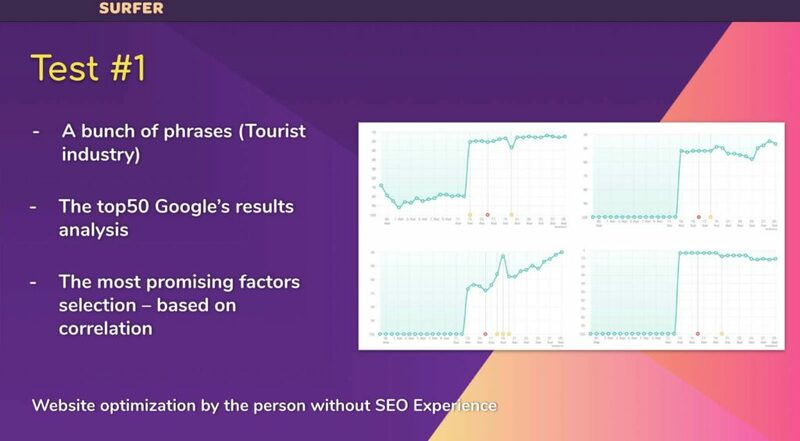 Surfer SEO has a huge number of features that are incredibly useful and innovative, which is part of what makes this tool so brilliant. I have taken the top, and most important, features and listed them here so that you can see what makes Surfer SEO stand out from the crowd. #1 Surfer is a cloud-based real-time data provider, that compares key on‑page factors of top 40+ ranked websites. Through this, you are offered immediate comparisons so that you can see how you are doing, where you can improve, and the next steps to take. #2 Data-driven content optimization. Due to this, you and your clients will always be in-synch with each other, because you will be able to keep up with real-time updates. Plus, it makes research a lot easier, and the budget estimates are effortless. #3 Technical insights. This feature allows you to reveal strategic technical advantages quickly and accurately, with the tool examining high-ranking pages from across the globe so that you are able to target location rakings from anywhere. This makes the process simpler and takes a lot of the hassle out. #4 User-friendly interface. It’s incredibly easy to navigate, with a clear display that will allow you to switch between sections quickly and efficiently. Everything is so well laid out; you won’t find yourself stressed out over where to find things because it’s been designed with you in mind. #5 Over 500 ranking factors. This is incredibly detailed, letting you get right down to the core of your ranking issues so that you can get the best possible results from search engines. With over 500 ranking factors available, you can rule the web effortlessly. #6 Easy to learn. The whole system is incredibly simple, despite the fact it digs so deep into the world of SEO. This means that you can spend less time learning and more time figuring out how to make the most of your new tool. #7 Helpful for freelancers, agencies and even copywriters. No matter your profession, Surfer SEO can help you to enhance your business, create new leads, and make sure that you rank high above your competition. All it needs is your hard work combined with the instant power provided by this tool. #8 Support team willing to help you through email, chat, and hangout. The tool might be amazing, but the customer service is equally important, and Surfer SEO comes out on top again. Even if you are struggling with the smallest aspect of the tool, the team will help you through it via email, chat, or even a walkthrough using Google Hangout. Surfer SEO has a really good pricing selection, and there is something to suit every type of user – including a free option that lets you try some of the key features out. Below, you will find each of the price tiers and everything that each of them come with, allowing you to discover the plan that suits both your needs and your budget. 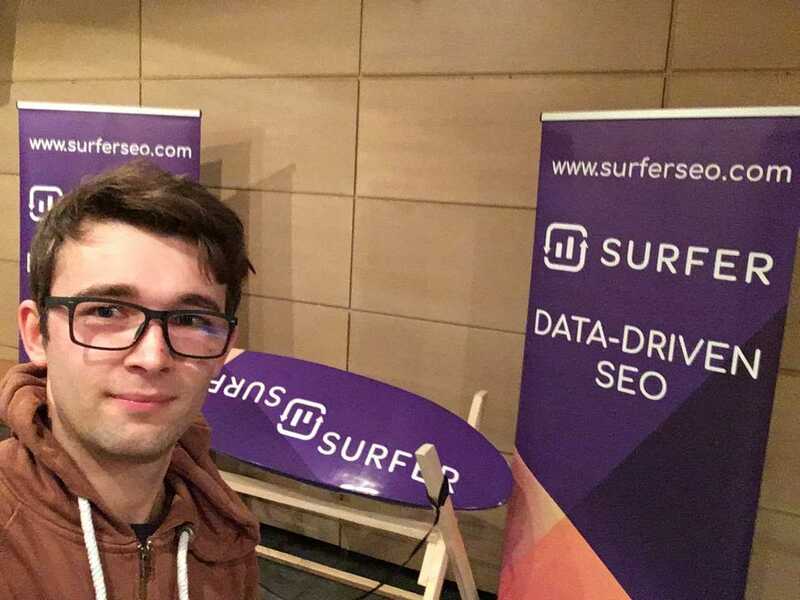 I got in touch with the co-founder of Surfer SEO, Michal Suski, with a few questions about his company and the inspiration behind it. 1. 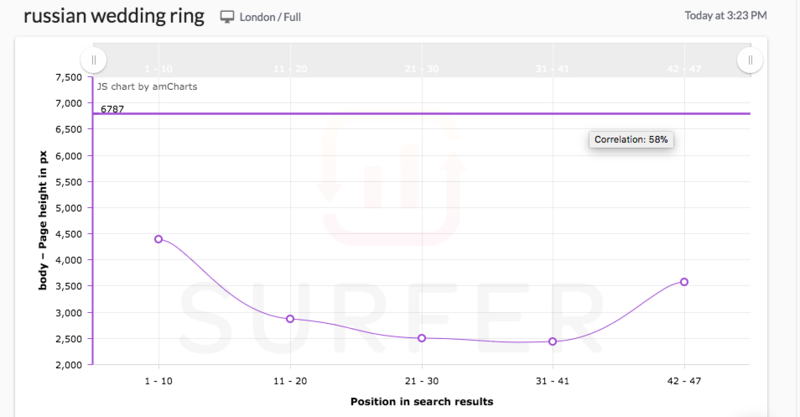 What motivated you to create Surfer SEO? I will give you a bit of background. Surfer was an internal tool built to help in the agency I worked for. We created a methodology based on competitors’ analysis. It was super effective but also time-consuming due to gathering data about competitors manually, browsing their sites etc. Surfer was built to speed up the process of gathering and analysing data. After a year or so of playing internally, we decided to share it and scale up. 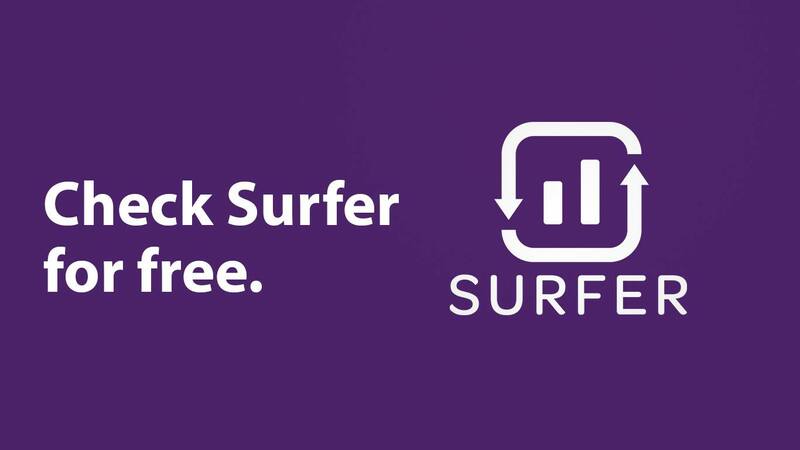 The main value proposition of Surfer was to save specialists time on gathering data. It allowed the company to get more clients done. Now, besides the time efficiency, it is also a huge knowledge base thanks to a few hundred ranking factors included and competitors text analysis. 2. What made you interested in the industry? SEO is a dynamic niche. You don’t need 10 years of experience to do the job. What you have to do instead is to be up to date and know how to read numbers. 3. What makes your tool different from others on the market? Surfer is a cloud-based tool that provides real-time data within a minute. It supports localizations from all over the world with pretty decent accuracy for mobile and desktop results. React JS application gives us huge capabilities combined with the smooth and reliable operation for the users. The team behind the tool is one of its biggest strengths. We listen to our clients proactively to build products that fill their needs. 4. How do you feel your tool benefits those that use it? The tool allows its users to replace guessing/experience of a single man with data-driven decisions. Our users get data within a minute. Collecting it manually takes hours, or even days, which makes analysis very expensive. Actions taken based on the data are way more effective, so it doubles the outcome. Quick and detailed analysis makes data driven decisions affordable. Besides of this, team or freelancer capabilities rise. They can take on more clients with the tool on board. Another advantage is related to education. Junior SEO can learn with ease about how Google algorithm works in terms of the content so he knows why he is working on the task. In general, Junior SEO becomes mid to senior with the tool. So, now that you know more about Surfer SEO, I hope you will give it a try to see if it is able to help your business grow and thrive. It offers quality services, and ones that help you reach right into the very core of things so that you are able to create a system where your website always comes out on top in terms of Google (and other search engine) rankings. With SEO having the power to give you all the success, this is not an area to skimp on, and definitely something to maintain with the help of excellent tools like Surfer SEO.